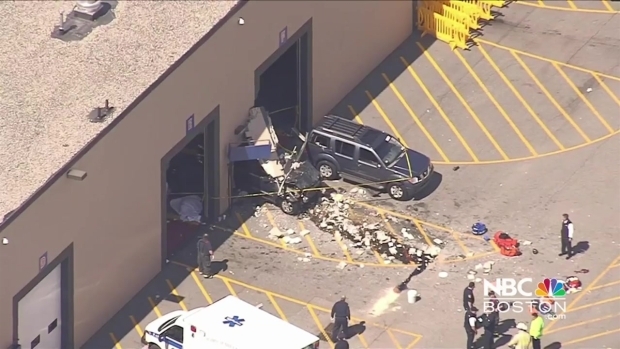 Three people are dead and two others suffered life-threatening injuries when a vehicle plowed into a crowd and crashed through a wall at an auto auction site in Billerica, Massachusetts, on Wednesday morning. On Wednesday morning, a driver lost control inside the Lynnway Auto Auction in Billerica, hitting attendees and crashing through a wall. Three people are dead, and two others were critically injured. The auction takes place every Wednesday. Its website describes it as the largest vehicle auction in New England. WARNING: Some of the video contains graphic content. "The information we have right now suggests that this was a tragic accident," Middlesex District Attorney Marian Ryan said. State police said there is no indication that it was an intentional or terrorist act. The victims are a man and two women, Ryan said. She said nine others suffered injuries, one of them life-threatening; however, a Lahey Hospital doctor said two people are in critical condition. Although the names of the deceased victims have not been released by authorities, the brother of Leezandra Aponte of Lowell said his sister was killed in the car auction crash. "From what we know at this point, some people have head injuries and there are a number of back, leg and torso injuries," she said. A spokesman for Lahey Hospital in Burlington said six patients from the car auction crash are there. Lowell General Hospital said eight people arrived to their facility for treatment after the crash. All but one have been treated and released. That person's condition is still unclear. A Lahey doctor said the ages of the injured range from the 30-60s. One person was undergoing surgery before 2 p.m.
"We had three separate emergency physicians on staff," Dr. Casper Reske-Nielsen said. "Each of us took the more seriously injured patients, wore together to provide the level of trauma care they needed." Billerica police's top cop called Wednesday's accident "a very tragic incident." A car crashed into a building in the area of 400 Lynnway Road in Billerica, Massachusetts, on Wednesday morning. "I just want to extend our sympathies to the community, to the Lynnway employees and especially to the victims and the victims' families," Billerica Police Chief Daniel Rosa said. The accident occurred at 10:13 a.m. at the Lynnway Auto Auction on Charter Way. According to its website, Lynnway Auto Auction has been a dealer consignment auction since 1997. Ryan said an auction was going on at the time of accident, just like every Wednesday. She said vehicles, which are only driven by employees in order to prevent accidents, are moved through the building during the day so people can bid on them. She said a 2006 Jeep Grand Cherokee was inside the auction site and someone was moving it when they lost control and hit a wall. She said the driver was an older male, in his seventies, and that he was an employee at the auction site. Although the cars generally don't travel more than five miles per hour, witnesses tell us the Jeep may have been going as fast as 20 miles per hour before it fatally struck three people standing near the safe lane. "It's pretty bad," witness Andre Fedorov said. "There was a loud noise, everyone started running. Just a car was through the wall, there were people on the ground. "It was definitely an accident," he added. "It wasn't purposeful." Leezandra Aponte from Lowell was one of those killed in Wednesday's auto auction site accident, her brother confirmed. Investigators said they don't know yet exactly what caused the driver to accelerate. The driver was not hospitalized. Officials said there were several hundred customers and a few hundred others in the building at the time of the incident. "Obviously, it could have been a lot worse with the number of people in there. It's a very busy place." Billerica fire Chief Thomas Conway said. 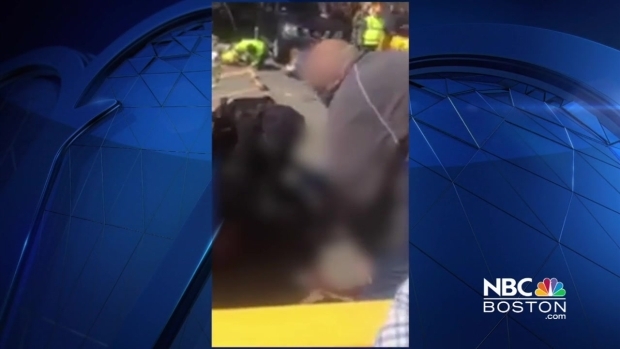 Aerial footage from NBC Boston's Sky Ranger helicopter showed dozens of firefighters and first responders treating injured people outside the building. Video from inside the scene showed people milling around the building as the injured were being attended to. Family members of people who were at the auto auction also arrived at the scene Wednesday morning looking for news on their loved ones. "We are stunned at the loss of life and serious injuries that occurred to our patrons. We are heartbroken that this accident occurred at our premises with a vehicle driven by one of our drivers," Lamb said. Lamb said that the driver was very distraught and would not be driving cars at the auction until the investigation was complete. "We are terribly sorry for what has occurred at our facility today. We extend our thoughts and prayers to the victims and their families at this terrible time," said Lamb. Ryan said the investigation is ongoing. "This is a very active scene," she said. "This will be a long investigation." A similar incident occurred two years ago at an auction house in Framingham, Massachusetts. 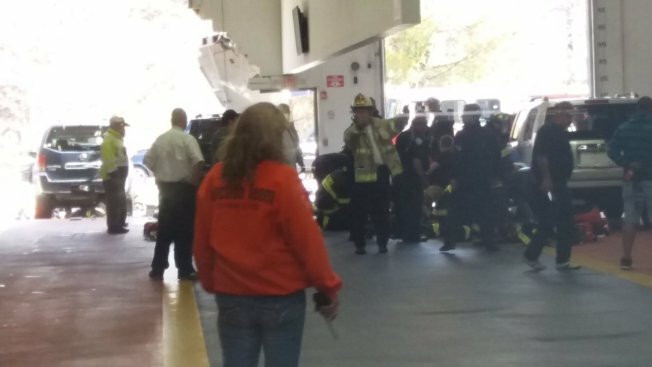 3 Dead After Accident at Auto Auction in Mass. Multiple people were injured on Oct. 9, 2015, when a 78-year-old man who was driving a vehicle at the auction accidentally accelerated, striking numerous people and vehicles. Most of the people injured in that incident were not seriously hurt.